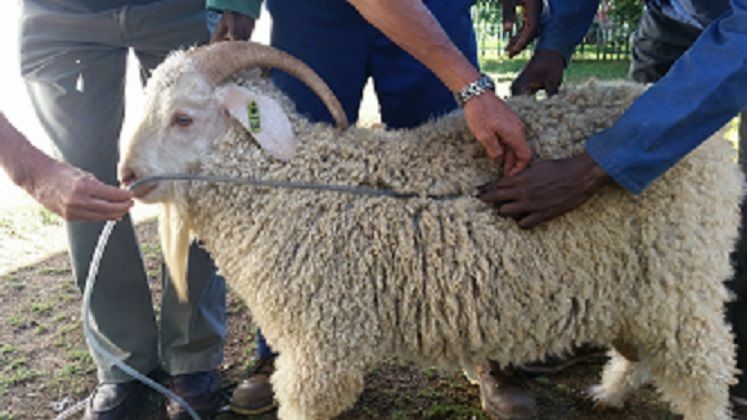 Whether the angora farmer has a hypothermic, sick, poisoned, bloated goat or weak kid the stomach tube can make a significant difference to whether the goat lives or dies. Do not be afraid to try. 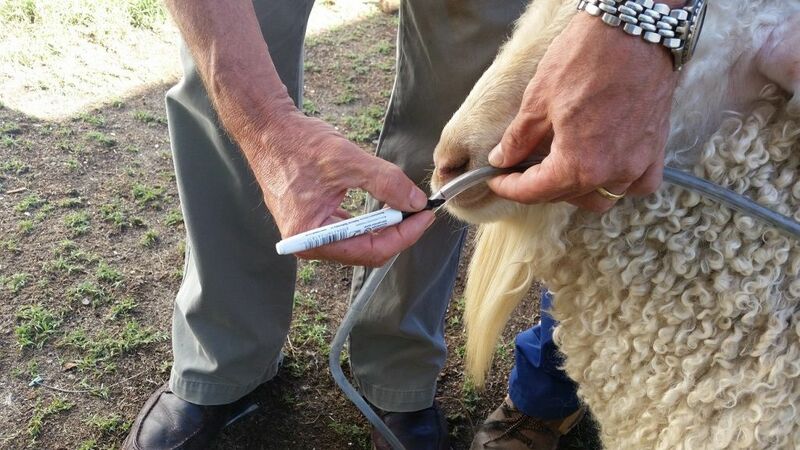 Once you are confident in the procedure you will find it a skill you will regularly use on the farm. 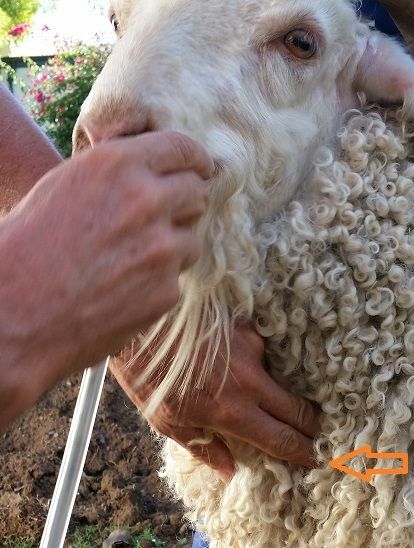 A range of stomach tubes is a must on Angora goat farms. A section of clear flexible tube can be easily purchased from your local hardware store or co-op. It is important it is clear so you can see the contents. A range of tubes (0.3-1cm internal diameter) with a length of 1-2 metres which can be used for kid and adult goats. Mark the tube at the point of the mouth with a pen. 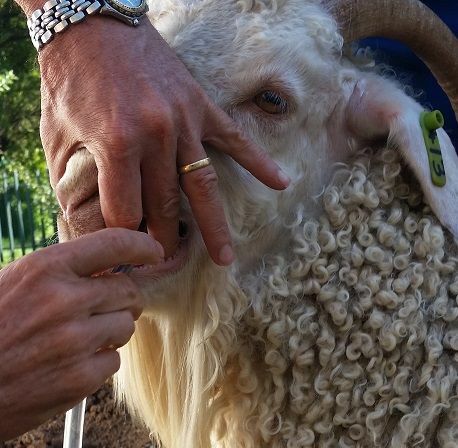 With your fingers in the side of the mouth feed the tube slowly over the top of the tongue to allow the goat to swallow the tube. Do not force the tube. If the tube is not entering the oesophagus (food pipe) move it gently back and forth against the back of the throat until the goat swallows. Placing your fingers in the mouth helps to prevent the tube from being chewed. Once the goat has swallowed the tube pass it slowly down the oesophagus. If you place your finger on the jugular groove on the left side of the throat you can feel the tube. If the tube was in the trachea (wind pipe) you would not feel or see the tube move under the skin. 5. Pass the tube until you reach the point you marked on the tube. If you can only pass a portion of the tube or the goat starts coughing then you may have passed the tube into the trachea. Withdraw the tube and start again. You can usually smell the rumen content at the tube opening. 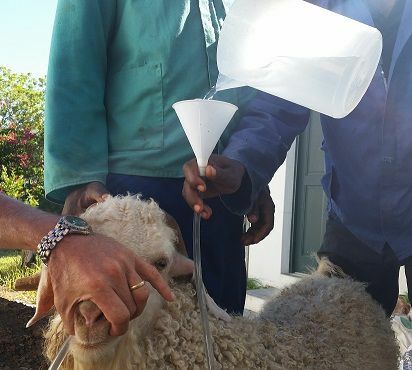 Pour about 10ml of water into the funnel/tube and raise the funnel well above the goats head. Continue to pour the treatment/fluid slowly into the funnel and hold it at arm’s length above the goats head. Hold the head of the goat stretched upwards. Continue to watch for any sign of coughing and that the fluid is flowing freely. When finished tubing - pour some water down the tube to clear any content remaining in the tube. This helps to prevent any aspiration of material into the lungs when the tube is withdrawn.